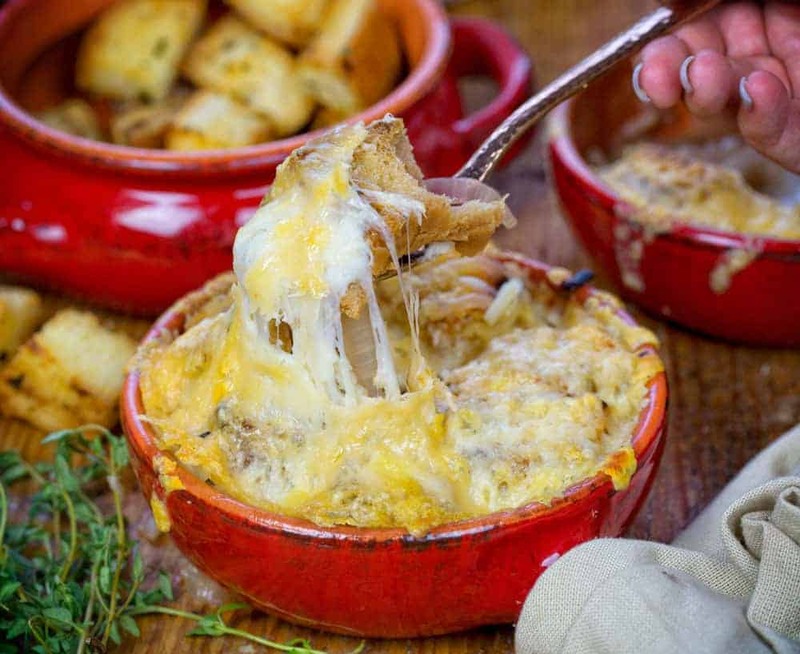 Is there anything better than a perfect French Onion Soup covered in croutons and glorious amounts of melted cheese? I think not! 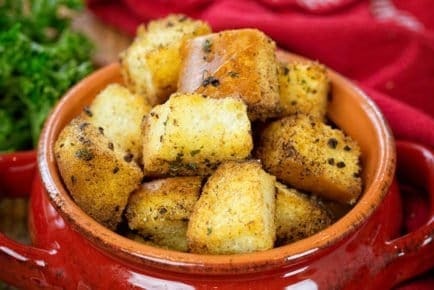 I added Homemade Croutons to make this every single detail about this recipe will WOW anyone who tries it! Be sure to try my Lasagna Soup next! This is the best French Onion Soup hands down. Even better than any we have had in fancy restaurants! 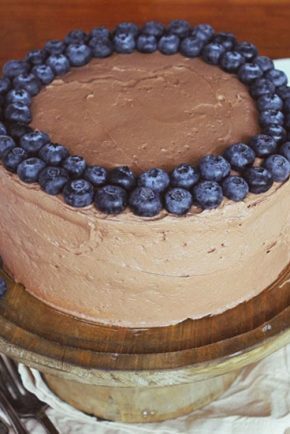 Be sure to follow the recipe exactly when making it, then you will know just how amazing it is. Without a doubt, this recipe is what to make if you really want to impress your family and friends. When making this soup, don’t skimp on the quality of your ingredients! 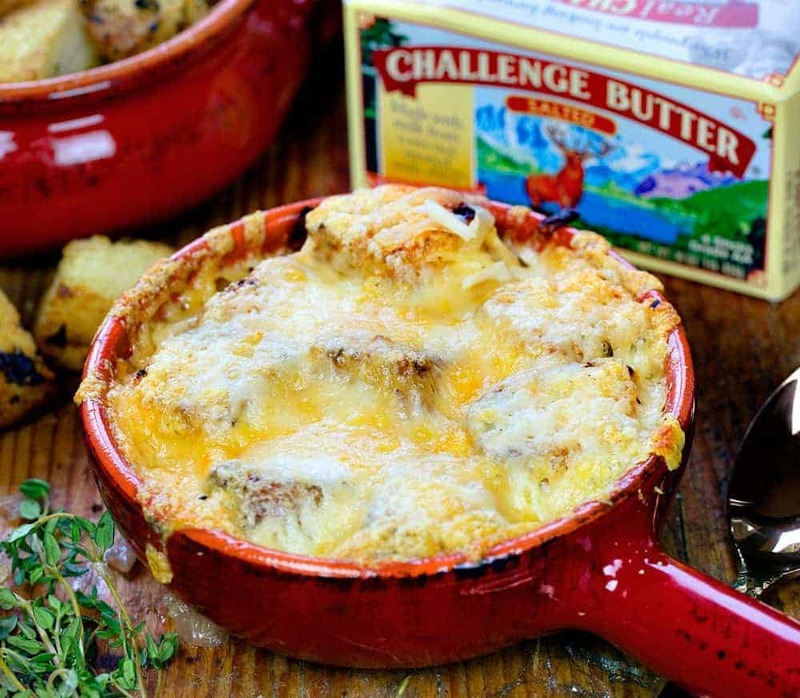 I like to use good quality butter like Challenge Butter. It’s churned daily from two natural ingredients: the freshest 100% real pasteurized sweet cream and salt. That’s it! The taste is pure, and the flavor is consistent, which is extremely important in a recipe where you want that buttery rich flavor to shine through. What Kind of Onions Are Best for French Onion Soup? My recipe uses both red onion and sweet onion. Red onions have the purplish-red skin which color is layered though it’s white flesh, although the color does fade when cooked. They are similar to yellow onions in flavor when cooked. Red onions are (in my opinion) the best onion for eating raw and are ideal for salads, guacamole, and sandwiches. Sweet onions are considered the best for frying, in recipes like onion rings or soups. More often then not, when you are slicing onions it’s the sweet onions that will make you cry. (They may tie with yellow onion in this area!) I love the combination of the two in this recipe and love how well these onions complement each other. If you use all red onion the flavor may be too mild, if you use all sweet onion the flavor may be too strong. When choosing onions in the store the best ones will be firm, have a crackly outer skin, and have a mild scent. If their scent is overwhelming it might be a sign that the onion is starting to spoil. Make sure you cook the onions as suggested in this recipe and give yourself a few extra minutes just to make sure they are the soft, almost sticky consistency. You may have noticed that the onions in our recipe don’t look brown or caramel in color. That is because the Worchestire sauce is not added until later. If you want the look of a more carmalized onion before adding your broth, you certainly could add the Worchestire in the beginning, when the onions are in their simmering stage. As much as I love a thick piece of french bread soaking up all that amazing onion soup, it can be hard to maneuver! I love the option of using croutons instead. 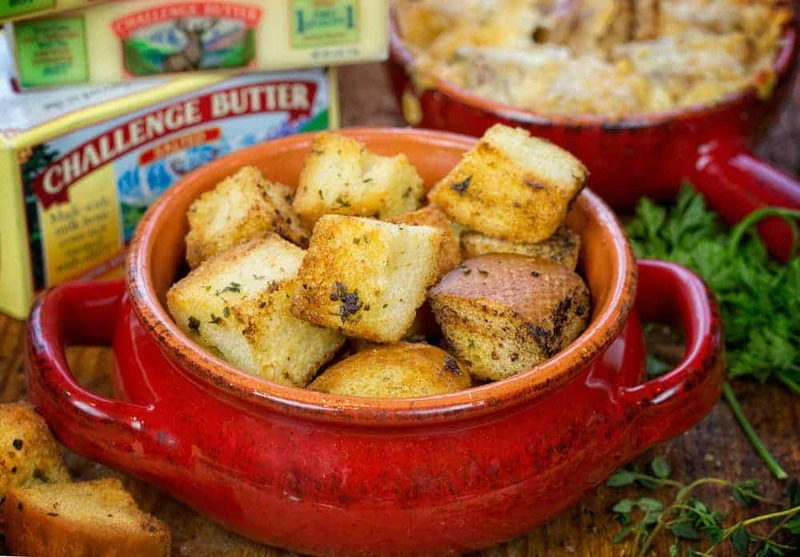 This Homemade Crouton recipe is absolute perfection and is the perfect compliment to our French Onion Soup. Every single bite will get a little soup, a little crouton, and little cheese ensuring you are satisfied until the very last drop. We used a Shiraz in this recipe simply because I enjoy drinking it as well. The final dinner was a fresh side salad, the french onion soup, and a glass of Shiraz to wash it all down. 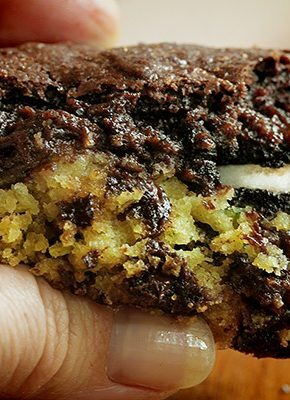 This recipe is not just good, it is extraordinary! You are going to love it! 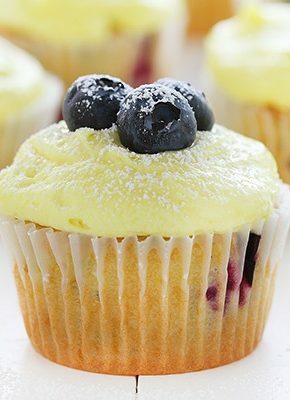 So good that friends will beg you for the recipe! 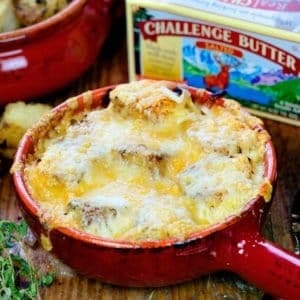 Melt butter in a large pot or Dutch Oven over medium-high heat. Add in the chicken broth, beef broth, red wine, and Worcestershire sauce into the pot. Bundle the parsley and thyme with twine and place in pot. Simmer over medium heat for about 20 minutes, stirring occasionally. Remove and discard the herbs. 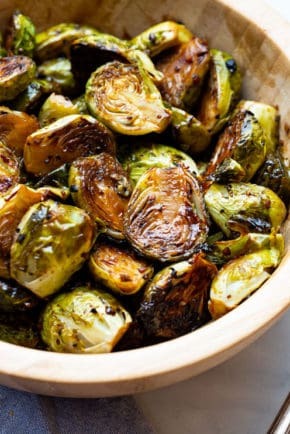 Reduce the heat to low, mix in balsamic vinegar and season with salt and pepper. Simmer 5 minutes. Arrange 4 large oven safe bowls or crocks on a rimmed baking sheet. Fill each bowl 2/3 full with hot soup. Broil 4-5 minutes, or until bubbly and golden brown. Keep a close eye on them! Where is the crouton recipe? I want to make this soup. Tried it and love it! I was skeptical about the beef and chicken broth but we love the flavor! 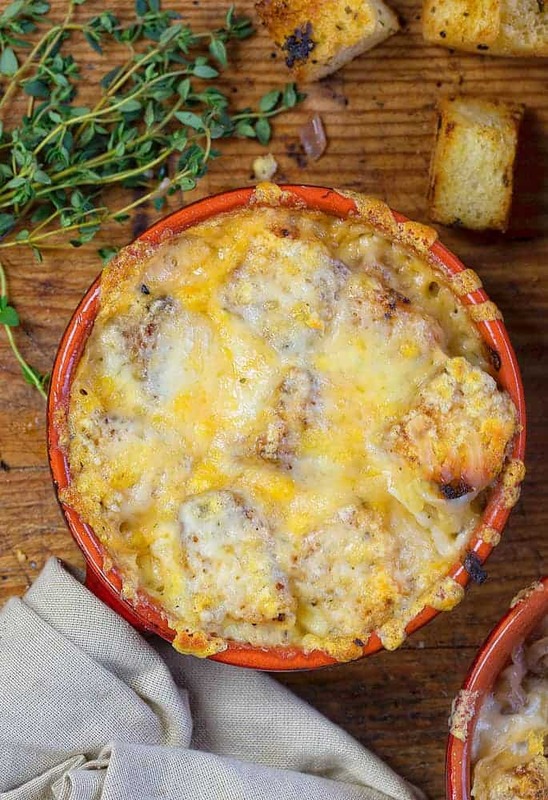 I’ve been looking for a great French Onion Soup recipe and these photos totally captured me. Can’t wait to try this next week. Thanks, Amanda! I made this today!! It’s fabulous!!! So glad you liked it Linda!!! This looks amazing! do you have suggestions for how to make this vegetarian? To make this vegetarian, use Better Than Bouillon – No Beef Base and Better Than Bouillon – No Chicken Base to create your broth. Both are vegitarian and have amazing flavor (in my opinion). 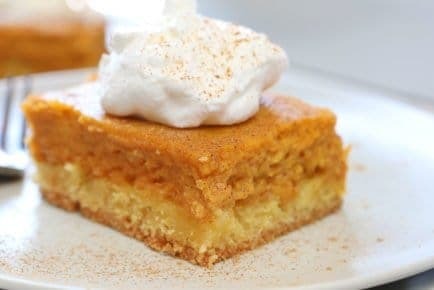 Worst part of this recipe is that no matter how much you try, there’s never enough! LOVE IT!!! Can i use your recipe in in a crock pot or slow cooker? Can u cook this soup in the crock pot? Is there a way to make the French Onion soup with a vegetarian broth? Do you have a recipe for the croutons.